Nordicair provides a full range of commercial and residential air conditioning services which will keep your premises cool in the summer and warm in the winter. We promise fast, efficient and expert installations. The cooling systems we install range from the simple split system to multi split systems. Nordicair works closely with all the leading manufacturers, like FRIGIDAIRE ,Keep-Rite, TriangleTube, Daikin Split Systems, Gibson and many more! 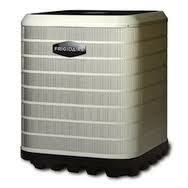 Take full advantage of the latest air conditioning technologies available. We guarantee you outstanding efficiency and higher energy savings. Call Mario at 416 321 1236 for details.